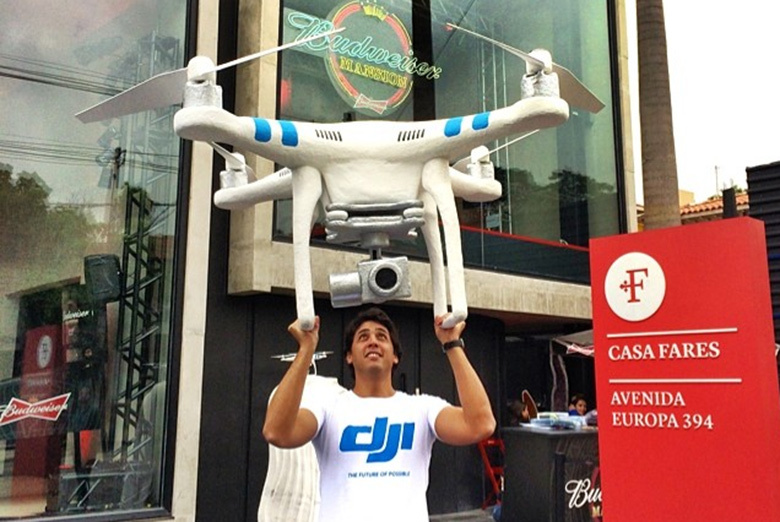 DJI celebrated the World Cup Finals in Brazil on July 13 with a Phantom 2 Vision+ drone nearly as large as the event itself. No, that Phantom didn’t fly, but was made out of styrofoam, fiberglass, and wood by our friends at DroneStore.com.br. 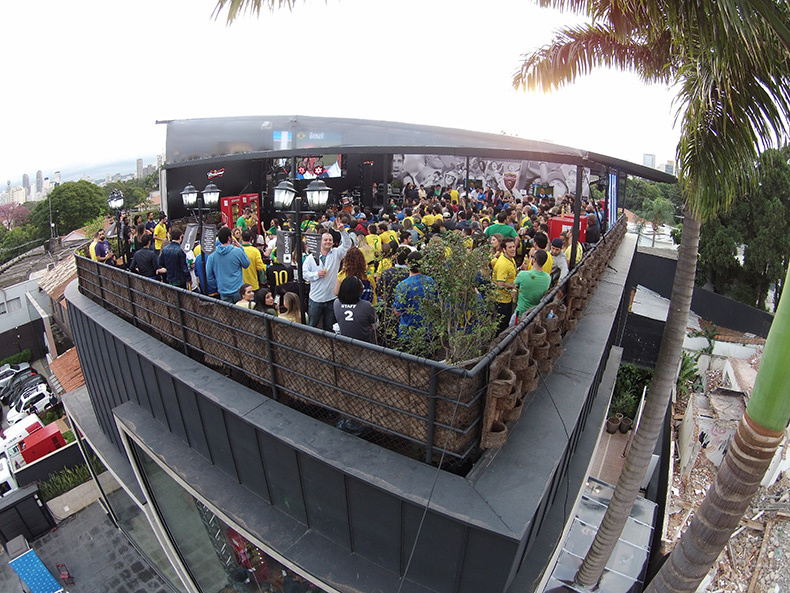 This massive creation, which took a week to construct, was the center of attention at the Bud Mansion in Sao Paulo during the game and after-game celebrations. Also at the event were some real (standard size) Phantom drones, with experienced pilots capturing the spirit of the game and the surrounding atmosphere. Six lucky attendees won a Phantom 2 Vision+ of their own by taking pictures and following the DJI Instagram account. Although the World Cup is now over, we at DJI are still continuing the Spirit of Football and giving you a chance to win a Phantom of your own. Click over to https://event.dji.com/spiritoffootball to learn more now. Similar events were also held at the Bud Mansion on July 8 and 12, 2014, to coincide with the quarterfinal and semifinal matches.